Conscious eating is on the rise, as more and more Americans are diagnosed with food allergies. Executive Chef Michelle Girard at the Hilton Eugene says, "To be honest, the days of just cooking for guests that don&apos;t have special requests are gone. As people are becoming more food educated they are asking for all kinds of special things." What was once a simple choice of beef, chicken or fish with the occasional steamed vegetable platter is now nuanced by "gluten-free," "vegan," "dairy-free," "no soy," "low-sodium," "no nuts ..." - the possibilities are endless! Each request is different, and as the meeting planner, you&apos;ve got a lot to handle. Luckily special orders don&apos;t have to be daunting. In fact, with an allergen-educated staff and some basic preparations, you can pull off a dinner with few curve balls that every guest can enjoy. From soup to nuts, there are simple things you can do to eliminate the most common stumbling blocks. The first step for a successful meal service is to take a proactive approach to all the dietary requests that could pop up. Prompt delegates to detail their dietary needs as part of their reservation process. And while this may spur some unusual requests, at least you&apos;ll have them upfront! "I had a group that was on a low protein diet - don&apos;t remember why, something about a medical condition they had - but I could not use grapes because they had too much protein in them," said Chef Girard. The more advance notice the chef and kitchen crew have, the better prepared the team can be. Special food products may have to be ordered, and the chef can use the dining profile generated at registration to plan a menu that accommodates the majority of the dietary and/or religious requirements. For example, Chef Girard has planned entire banquets that were gluten-free. It also helps to prepare dishes that meet a crossover of potential specifications. Tim Hill, Banquet Chef at the Center for Meeting and Learning at Lane Community College says, "We usually make our vegetarian dish gluten-free, vegan, and lactose free. All we have to do is make a few extra and we&apos;re ready for almost anything." His favorite vegetarian meal is slow cooked lentils with curried tofu and in-season vegetables which encompasses vegan, gluten-free, dairy-free and nut-free requests. Talk with catering staff about cross contamination. Since it&apos;s difficult to differentiate between allergy and personal preference, it&apos;s advisable to treat all requests with the diligence of a medical necessity. Be sure to ask if staff are trained on emergency response procedures for diabetic and allergic reactions. While a salad bar may be a practical way to appease diverse palate preferences, those with extreme allergies could be put at risk with tongs inadvertently switched between containers. "If someone has a food allergy it means getting clean equipment," says Chef Girard. "Actually going and using a clean cutting board and knife. Even going to a different part of the kitchen in some cases." Some kitchens have simply chosen to eliminate problem foods, like nuts, from their kitchens. If nuts are something that truly showcases the region (like here in Oregon), and you really want to include them, consider ending the meal with a takeaway bag of nuts from a local vendor rather than incorporating them in the food service. After the prep work is done, keep the communication flowing during the event. Diners need to know their requests have been heard and accommodated. Put diners at ease by reiterating their dietary requests in all confirmation materials, in personalized welcome packages, and at guest sign-in/registration tables. Food labeling is extremely helpful. Clearly mark all dishes, both on the buffet line and in the menu, that have potential allergens. These days people are very interested in ingredients and this is also an opportunity to tout your use of local and organic products. Brief banquet staff on proper serving procedures and how to easily identify the special meal recipients. Holding a meal up high and asking the group who gets the "gluten-free, dairy-free, vegan enchilada with the sauce on the side" may be embarrassing to the individual. Methods for conveying the requests during events might include meal tickets or clearly marked seating charts. Meeting planners can work as a liaison between the delegates and the banquet captain to discreetly identify meal recipients, and the server can quietly confirm the request with delegate directly. Interestingly, the rise in diverse dietary requirements is concurrent with a growing appreciation for quality food, including locally-sourced and organic dining. Many chefs have already adopted kitchen standards to highlight grass-fed, free-range, pesticide and preservative-free, MSG-free, organic, sustainable and local alternatives. Work with the convention and visitors bureau for recommendations on local products that are allergen-free and can add pizazz to the menu. 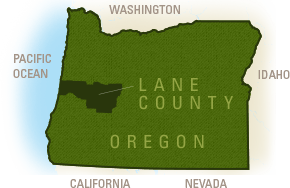 In the Eugene, Cascades & Coast region examples include pouring a gluten-free microbrew, dishing up a dairy-free frozen dessert or serving vegan box lunches. Both Chef Girard and Chef Hill agree that all guests, regardless of their allergies or preferences, are entitled to enjoy an excellent meal. It&apos;s become a golden age for chefs to showcase their creativity and they enjoy the challenge. We hope you do too! 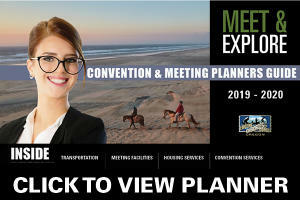 For resources in special meal planning within the Eugene, Cascades & Coast region, contact our convention sales staff or give us a call at 800.547.5445.